Be Counted. SLIS Begins Alumni Census. 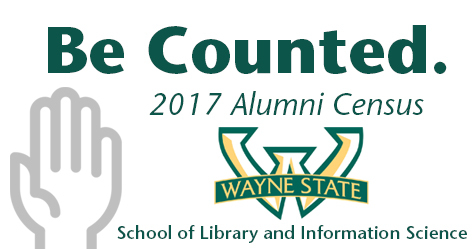 In honor of the 50th anniversary of continuous ALA accreditation, SLIS has announced it will conduct an Alumni Census. Alumni are asked to complete a brief form to update or add their contact information to the SLIS alumni databases. The census provides an opportunity for SLIS to reconnect with alumni and provide continued support to program graduates in their professional endeavors. The form also asks for any news or accomplishments that alumni wish to add, so that information can be shared and celebrated with the SLIS community of students, faculty, and alumni.